Main Street Yoga is proud to partner with these amazing local companies! Looking for amazing high-quality activewear? Head to Uptown Normal and visit our friends at OhmFit! They carry brands such as Karma, Lucy and more! Click here to Visit OhmFit's Facebook Page! Ayurveda is India’s traditional, natural system of medicine that has been practiced for more than 5,000 years. Ayurveda provides an integrated approach to preventing and treating illness through lifestyle interventions and natural therapies. Ayurvedic theory states that all disease begins with an imbalance or stress in the individual’s consciousness. Lifestyle interventions are a major ayurvedic preventive and therapeutic approach. In India, ayurvedic practitioners receive state- recognized, institutionalized training in parallel to their physician counterparts in India’s state-supported systems for conventional Western biomedicine and homeopathic medicine. The research base is growing concerning the physiological effects of meditative techniques and yoga postures in Indian medical literature and Western psychological literature. Published studies have documented reductions in cardiovascular disease risk factors, including blood pressure, cholesterol, and reaction to stress, in individuals who practice Ayurvedic methods. Laboratory and clinical studies on ayurvedic herbal preparations and other therapies have shown them to have a range of potentially beneficial effects for preventing and treating certain cancers, treating infectious disease, promoting health, and treating aging. Mechanisms underlying these effects may include free-radical scavenging effects, immune system modulation, brain neurotransmitter modulation, and hormonal effects. 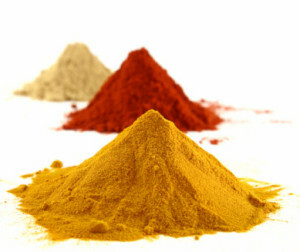 We offer consultations, Ayurvedic treatments and Ayurvedic supplies. Please visit www.AyurvedaForHealing.com for more information and to set up an appointment. Read below to learn more about our director Ashlesha Raut. Read below to learn more about our director Ashlesha Raut. Ashlesha is a Consulting Ayurvedic practitioner and Nutrition & Health Educator. Her expertise also includes research in Ayurvedic product formulation and branding for global markets. Dr. Ashlesha Raut has an M.D. in Ayurveda from the Ayurvedic Institute in Mumbai, India. She is also a western trained Nutritional Consultant and is certified in Integrative Medicine. Ashlesha is M.D. Ayurveda from Mumbai University, India and a Nutritional Consultant (High Honors) from GCNM-Global College of Natural Medicine, CA, USA.. She was awarded a Gold medal for the thesis at M.D. and a prestigious ‘Shiromani Award’ for her contributions towards the alternative medicine in the industry. Ashlesha was a Medical Director with Ayurvedic division of CIPLA, India in Mumbai before moving to USA. Ashlesha is a professional member of AAPNA (Association of Ayurvedic Practitioners of North America), General member of NAMA (National Ayurvedic Medical Association – USA) and Life time member of NIMA (National Integrated Medical Association-India). She also holds a position as an Academic board member at AAPNA. Ashlesha has attended and presented many research papers in the Ayurvedic industry in USA and India. She is authorized teaching faculty and an active volunteer at the American Red Cross Heartland Chapter in IL,USA and has won recognitions for her contributions to American Red Cross. To make an appointment with Dr. Raut please contact her personally at 309-826-8799 or send her an email at: DrAshleshaRaut@yahoo.com.